The latest "City" Pack from Nike Sportswear is set to hit stores tomorrow. The Nike Sportswear "Rio" City Pack features the Air Max '90 Breeze, Roshe Run Slip-On, Air Max Motion and Shox Turbo XIV. 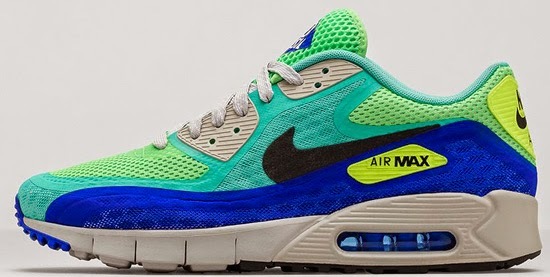 First up, the Nike Air Max '90 Breeze City. This pair comes in a crystal mint, black, hyper blue and straight grey colorway. Featuring a multi-color breathable upper. 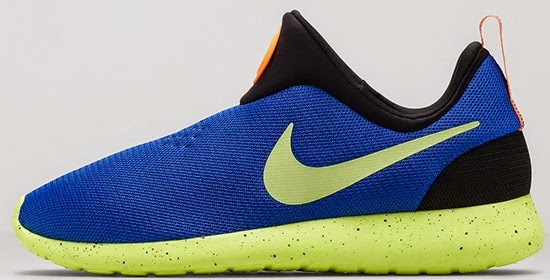 Second is the Nike Roshe Run Slip-On City. This pair comes in game royal, liquid lime and volt. 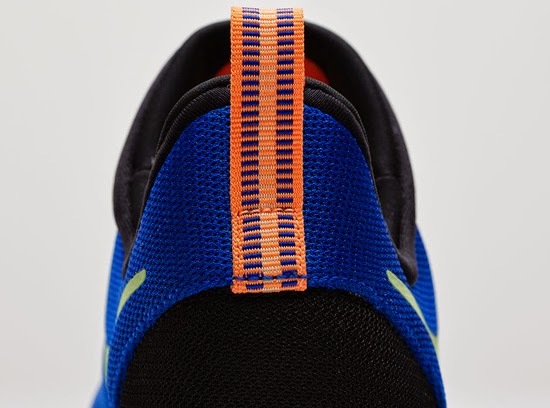 Featuring a laceless royal blue based upper with orange, lime, black and volt accents. 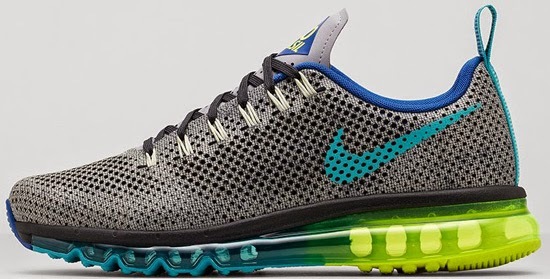 Third is the Nike Air Max Motion City. This pair comes in a black pine, dusty cactus and game royal colorway. 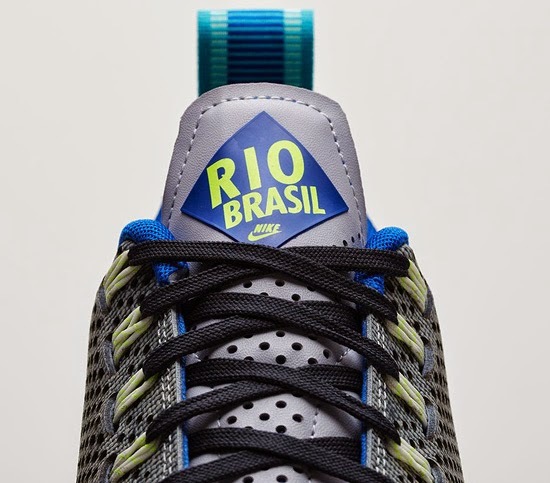 Featuring a fully perforated upper with a multi-color Max Air unit. The final shoe in this pack is the Nike Shox XIV City. They come in a neon turquoise, black, flash lime and liquid lime colorway. Featuring a blue based upper with black and lime accents. 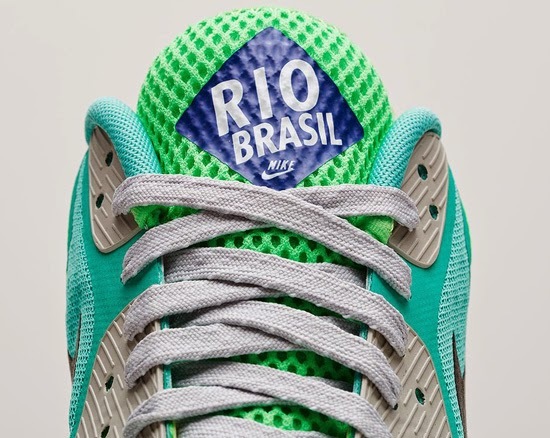 Both the Air Max '90 and Air Max Motion along with the Shox Turbo XIV feature a "Rio Brazil" patch on the tongue while the Roshe Run Slip-On does not. A limited release, look out for these at select Nike accounts worldwide on Friday, May 30th, 2014. Retail is set at $160 for the Air Max '90 Breeze, $80 for the Roshe Run Slip-On, $210 for the Air Max Motion and $130 for the Shox Turbo XIV. Enjoy the official images below of the Nike Sportswear "Rio" City Pack featuring the Nike Air Max '90 Breeze City in crystal mint, black, hyper blue and straight grey, the Nike Roshe Run Slip-On City in game royal, liquid lime and volt, the Nike Air Max Motion City in black pine, dusty cactus and game royal as well as the Nike Shox Turbo XIV City in neon turquoise, black, flash lime and liquid lime. If you're interested in picking any of these up when they release, check in with your local spots to see if they will be receiving them. Those of you looking for a pair now can, grab them from eBay here.